Just a few years ago, Boruto made his big screen debut as the son of Naruto and Hinata Uzumaki. Now, he’s got his own manga and anime series that follow his adventures with an all new generation of shinobi in the Hidden Leaf Village. Boruto has already updated the design of the original Naruto series. There’s a slightly more modern aesthetic, as characters enjoy video games and burgers instead of board games and ramen. Fans with an artistic leaning have found plenty of other ways to change the design of the series for others to enjoy. 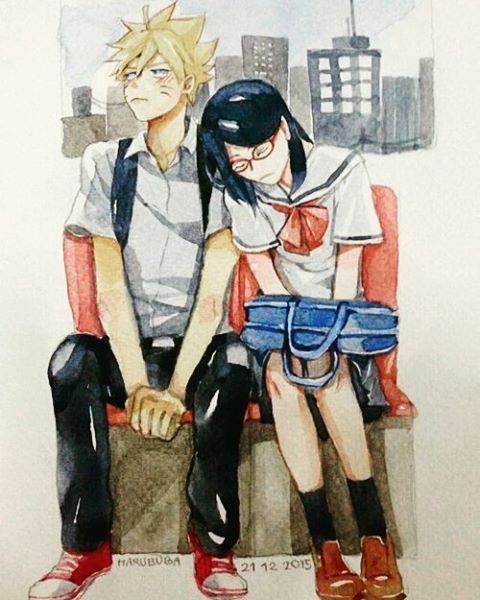 While there isn’t quite as much fan art out there for Boruto as there is for Naruto (the latter does have 15 years on its sequel series), there is still a wealth of artistic talent putting themselves out there. Some fans already love the look of the series, but the story just isn’t moving fast enough for them. For those fans, many of their redesigns involve a look at the new generation in future settings. Does Sarada achieve her dream of becoming Hokage? Does Mitsuki remain a friend? They’ve pondered those questions for you. Other fans wonder what the characters would look like in a contemporary setting, or even in another fictional world. 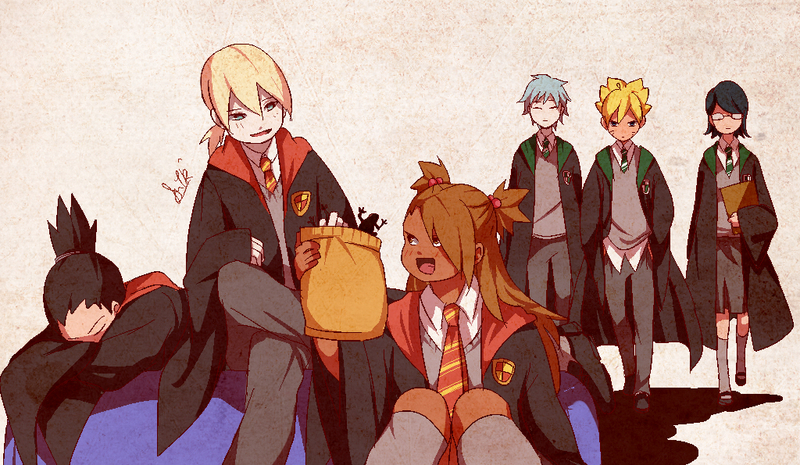 These designs send the characters to the world of Harry Potter, Avatar, and even just regular old high school. 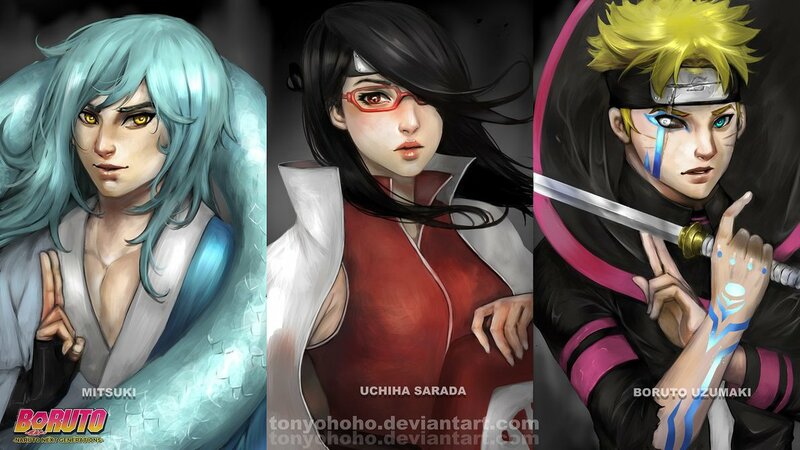 We’ve scoured the internet to find some of the most interesting artistic representations of Boruto and his friends. From cinematic inspired concept art to characters in new universes, we’ve put together 25 Boruto Fan Redesigns Better Than What We Got. While Boruto is a pretty great piece of animation, it’s clear that it’s a style of animation made for television. Some details have to be omitted to save time and budget during the animation process. For fan artists, there’s a little bit more time and detail to devote to a piece when they don’t have to worry about meeting studio deadlines. The richer colors and more dynamic illustration of the wind in motion really gives the idea of what a more cinematic version of Boruto would look like. One of the last things fans would have expected from a Naruto sequel series was for Orochimaru to have a child. A product of Orochimaru’s experimentation, Mitsuki, is socially awkward, but extremely powerful. He is also quite the fan-favorite. 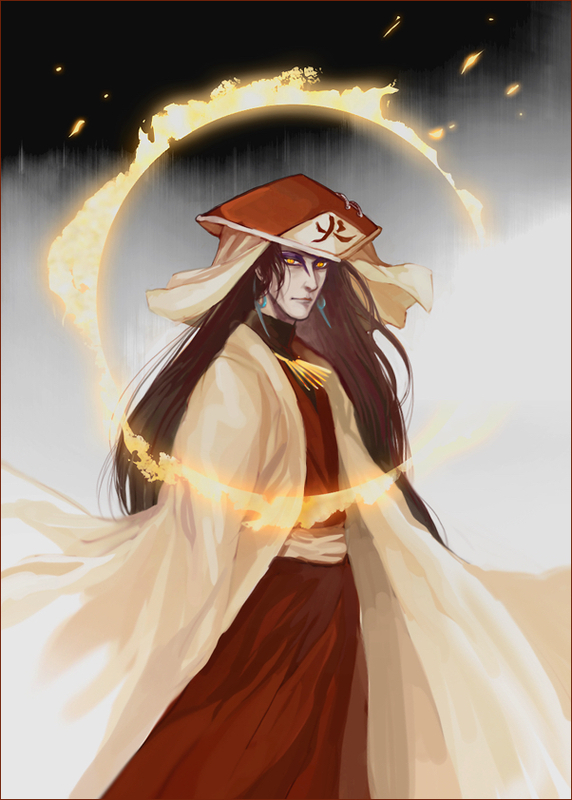 Tons of fan art exists for Mitsuki, with many fans wanting to show the character in a new light. He’s even accompanied by his very own snake, something we’ll no doubt see more of in the series. The Uchiha Clan doesn’t just have access to a special version of sight that allows them copy abilities - they also have access to special forms of protection, like the Susanoo. 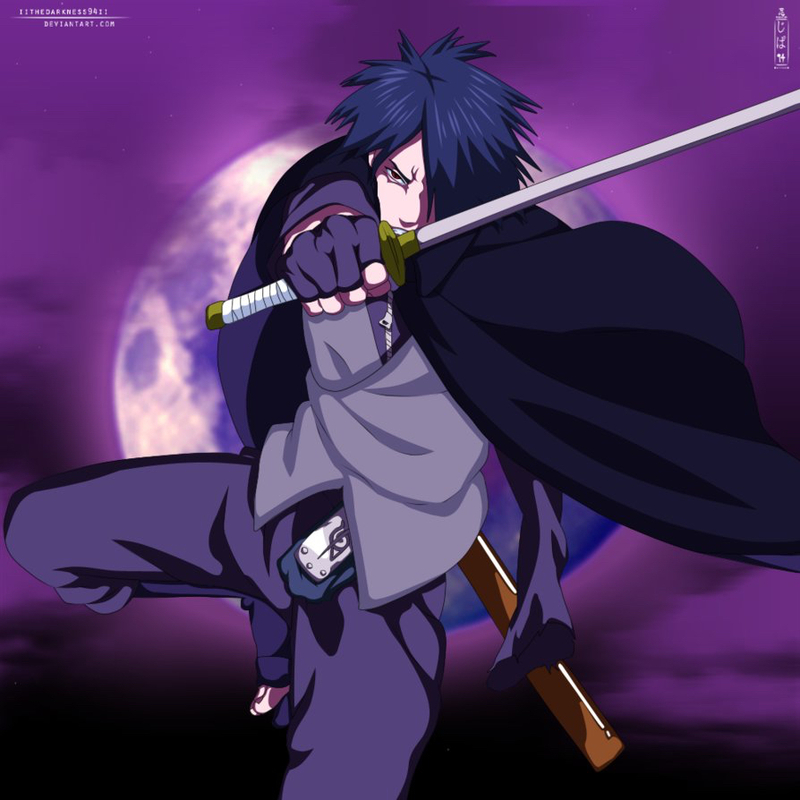 The Susanoo is an avatar that surrounds them, protects them, and fights in their place, using their own chakra, but protecting them from injury. We’ve already seen Sasuke’s in action, but we haven’t seen his daughter reach the full extent of her powers yet. Every generation has its own version of the Ino-Shika-Cho trio. 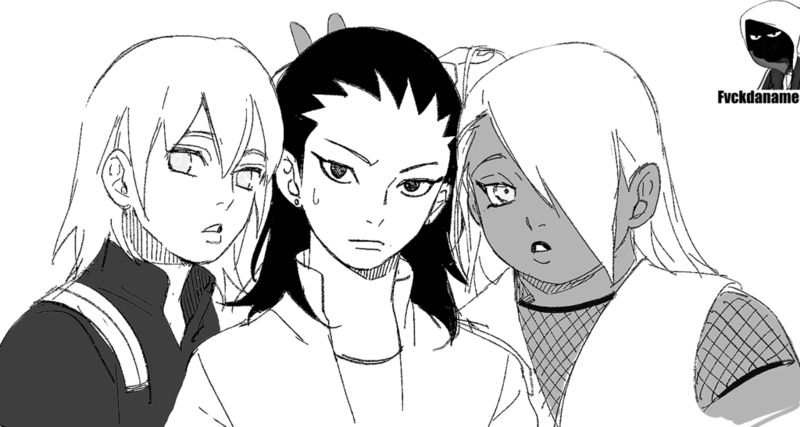 In Boruto, Ino, Shikamaru, and Choji’s children form the latest team up. Just as powerful as their parents, with some new skills to boot, they’re certainly a force to be reckoned with. One hallmark of the characters, though, is a signature hairstyle. Inojin and Shikadai both wear their hair like their parents, while Chouchou sports multiple ponytails. When Naruto and Hinata’s future was revealed in the original series, fans knew that they would have two children. While Boruto is the title character of the sequel series, Himawari is his little sister, and she hasn’t yet had much to do. Still very young, and seemingly not even in the Ninja Academy yet, Himawari did already awaken the Hyuga clan special ability of her Byakugan. Beyond that, she’s typically a background character. 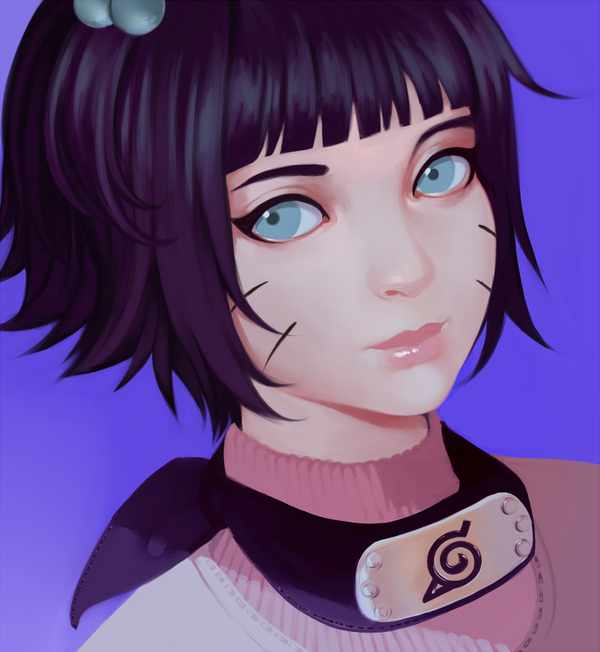 Giving fans a glimpse at what could be as Boruto continues, artist HolliBerry created a future version of Himawari. Fans certainly hope to see what she can do in the coming stories. If there’s one thing that long time Naruto fans have complained about, it’s that so many of the female characters from the original series have been pushed aside in Boruto. We see most of the male characters in jobs where the new generation crosses their path. The women, however, are largely left at home. It’s a shame, in particular, that a character like Hinata, who grew into such a formidable shinobi throughout Naruto Shippuden, hasn’t been able to use her abilities in Boruto. Though Sakura and Sasuke haven’t shared a lot of screen (or page) time in Boruto, their relationship is stronger than ever. The two are united when it comes to making sure their daughter, and her generation, become strong shinobi. 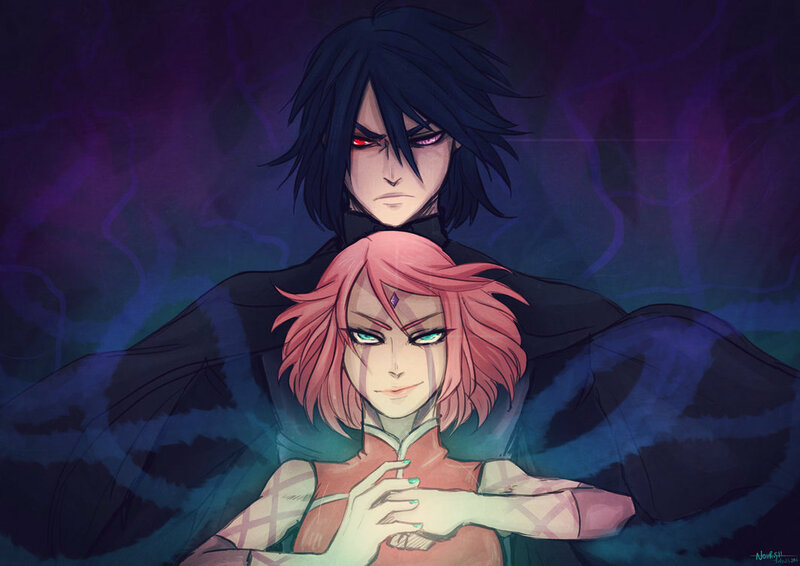 This particular illustration calls to mind Sasuke’s darker days, but with Sakura’s smirk and ready fist, we can tell that she’s even stronger than she was as a teenager. It’s clear Sakura could pull him back from the edge if she needed to. With the new generation comes the possibilities of new antagonists. 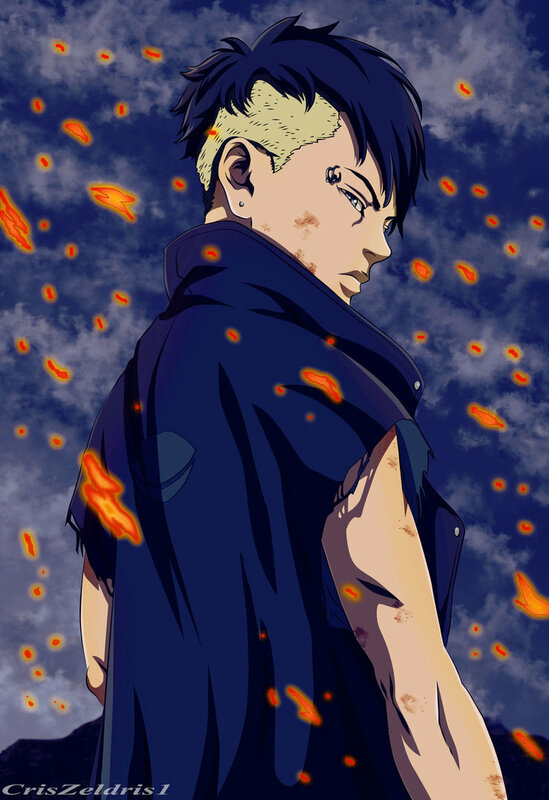 In Boruto, manga and anime fans alike have been introduced to the mysterious Kawaki, but no one knows if he’s the true bad guy or not. A flash forward to lead off the story hints that he’s the bad guy Boruto will one day face, but in the current day, he’s only just been introduced. It’s possible nothing is as it seems. Bringing rich color to the character that is often seen in black and white only adds more mystery to him. For much of his formative years, Sasuke Uchiha spent his time with the villain Orochimaru. As a result, he quickly grew more powerful and he’s got a lot of tricks up his sleeve. He put his villainous ways aside, though, and returned to the Hidden Leaf Village. Sasuke settled down with his former teammate Sakura and had a daughter, but his guilt forced him to leave home again. 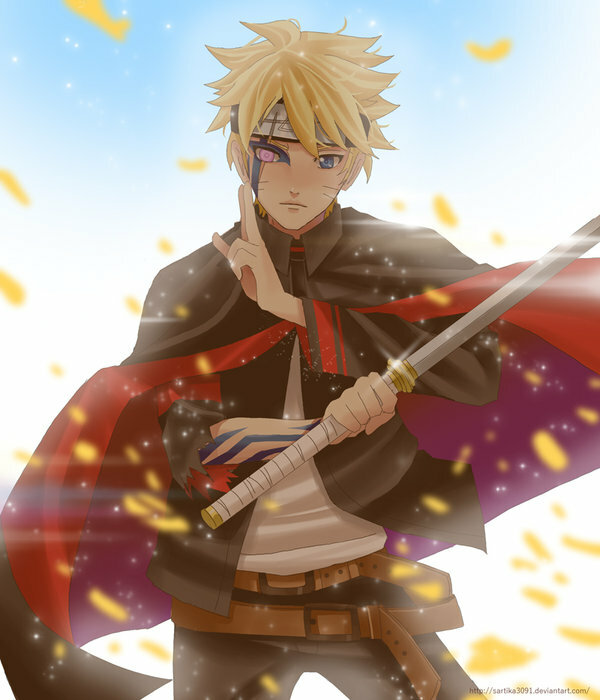 Becoming something of a wandering ninja, he sent information back to Naruto during his travels. Much of his time these days is spent on training the younger generation, specifically Boruto and Sarada. However, this doesn’t mean his fighting days are over, as artist IITheDarkness94II illustrates so well. Sarada Uchiha made it clear that she plans on taking over as Kage of the Hidden Leaf Village one day. Boruto, on the other hand, doesn’t want to follow in his father’s footsteps, but he does want to help his people. He also promised to help Sarada, just as her father helps his. This kind of thinking has led plenty of fans to envision a world where Boruto actually works for the Hokage. Not to mention that there are plenty of fans who believe they’ll end up in a romantic relationship as adults. Sumire might be one of the most interesting characters to be introduced in Boruto. With a sweet disposition, she surprised everyone when she betrayed the village in the first story arc. Learning from her mistakes, though, she want on to pursue an interest in science - and Boruto. Her good-tempered nature and her initial feelings of abandonment wouldn’t make you think she’s intentionally a problem child. Falling into unfortunate circumstances often enough, it certainly seems like problems always find her. Fans got a brief look at just how much Boruto will change since his series led with a flash forward. What we don’t know is just where his teammates stand. The new iteration of Team 7 includes the tight knit group of Boruto, Sarada, and Mitsuki, but the flash forward left everyone’s future a big mystery. Artist Tonyohoho stuck close to what we’ve already seen of Boruto for this digital painting. 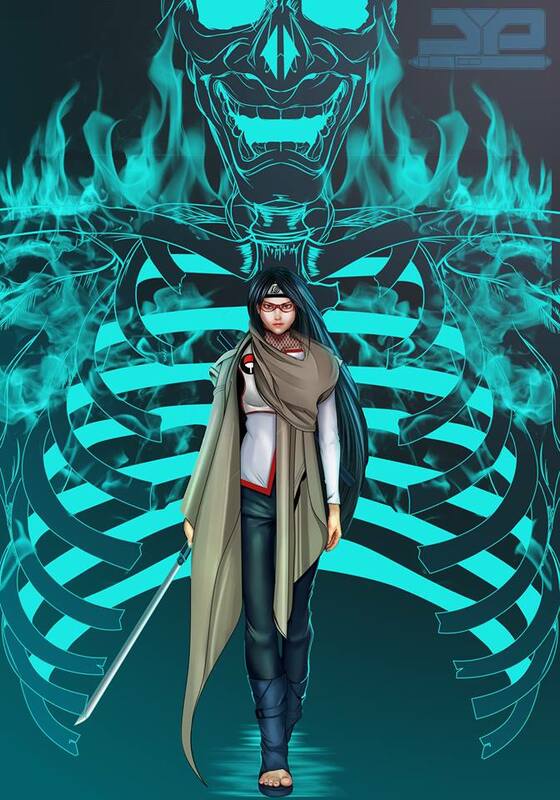 The artwork also gives us a more mature Mitsuki and Sarada holding onto her Hokage ceremonial wear. Let’s hope their future is as gorgeous as this artwork. Debuting in Boruto: Naruto the Movie, Momoshiki was one powerful villain. Able to absorb the abilities of others and even bend space and time to his will, he was pretty scary on his own. Of course, Momoshiki was part of a larger group of antagonists in the Boruto mythology. 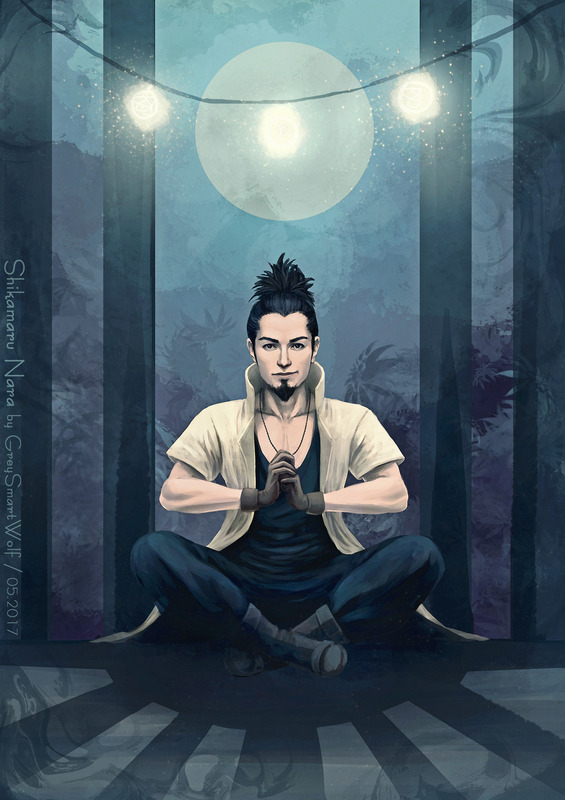 Inspired by tales of Japanese folk heroes, the Otsutsuki were the founders of the shinobi lifestyle on Earth. 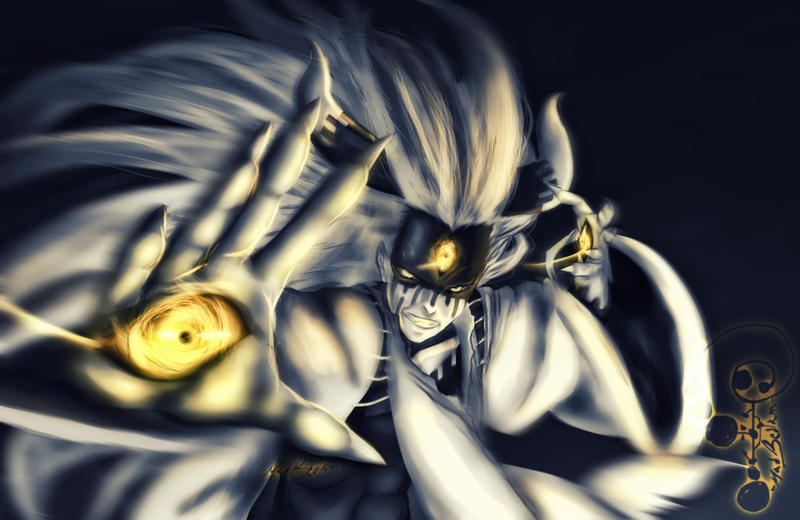 Traveling from another dimension, Momoshiki came to Earth and saw human beings as beneath him. In a world like Boruto, it’s not hard to imagine reanimated bodies walking the streets. After all, Naruto did bring lost comrades back to battle in the Fourth Shinobi World War. Perhaps this is why it’s surprising that there isn’t a lot of art out there reimagining the sequel series in a design similar to The Walking Dead. With the new series placing the focus on Boruto and his friends, fans don’t spend a ton of time with the Seventh Hokage. They shouldn’t forget just how powerful Naruto is just because they aren’t seeing a lot of him in action, however. In case anyone forgot, artist fate-fiction captured an image of Naruto creating his famous rasengan to remind them. 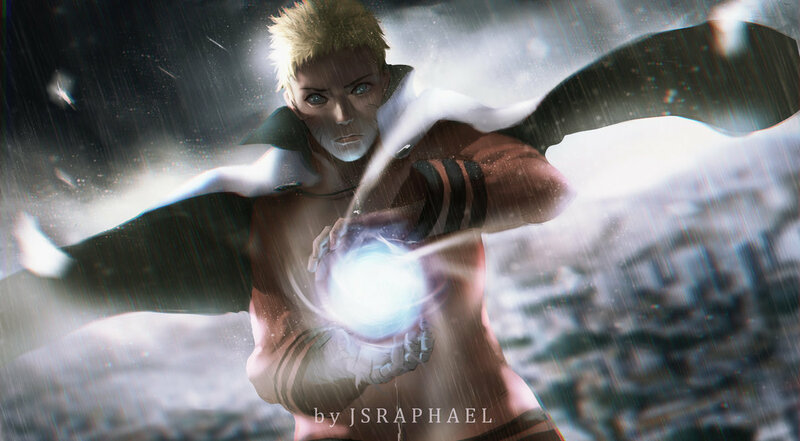 The fan art here keeps the heart of Naruto’s design as Hokage intact, but it resembles movie concept art more than the usual digital painting. It makes us all curious how development on the live action movie is going over at Lionsgate. The world of Avatar is as beloved as the world of Naruto. With both stories involving powerful abilities and themes of inheritance, it’s no wonder that there are plenty of fans who have found common ground between the two and created crossover. Artist Eleanor-Devil imagined a world where the characters fans know from are split into two factions, caught up in a long battle between two nations. 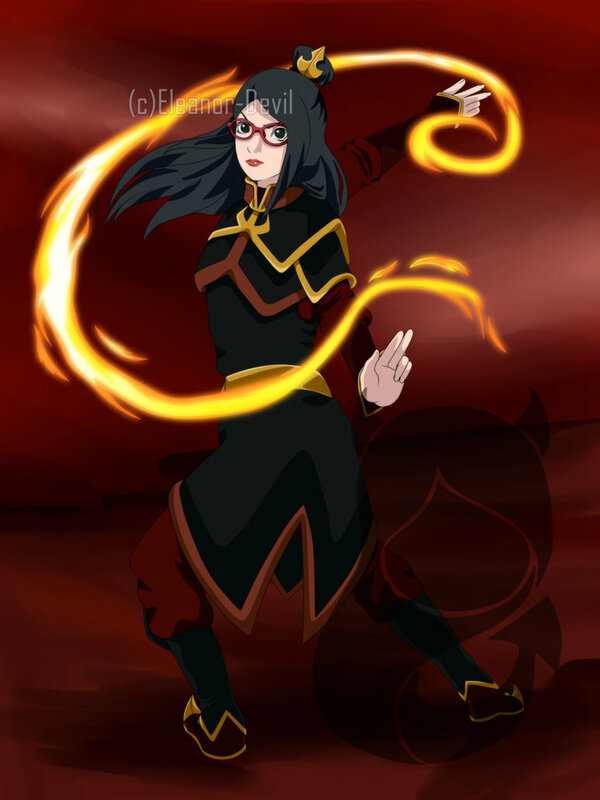 With the Uchiha Clan having a predisposition for Fire Nature in their chakras, it’s not wonder this artist made Sarada a member of the Fire Nation in this universe. In Boruto, students don’t attend the usual school with uniforms and textbooks. Instead, the Hidden Leaf Village has a special school. The Ninja Academy can have graduates as young as six or as old as 14. There, Boruto and Sarada learned the basics of being a shinobi. They might not take math tests or learn grammar, but they learn how to time the perfect kick and harness their chakra. A modern high school isn’t the only school setting that fans like to imagine Boruto and friends in. One of the most famous schools in pop culture also gets a lot of love from artists. Hogwarts, from the Harry Potter novels and movies, is famous for having horrible Defense Against the Dark Arts teachers and classifying its students into four houses. There is Ravenclaw, which houses the academics, Hufflepuff is for those who prize loyalty, Gryffindor houses the brave, and Slytherin takes the cunning. Everyone remembers that Naruto has a deep love for ramen. He spent nearly as much time eating ramen as he did in training. In the new series, Boruto isn’t as crazy about the food as his father, but this doesn’t mean fans don’t think of a ramen dinner as an Uzumaki bonding experience. Before the Boruto series even launched, Boruto and his little sister were shown in the final chapters of Naruto. That’s when Tumblr artist benlo0 gathered the characters together for a little family time. Given Naruto’s love for ramen and Hinata winning a ramen eating contest in the anime, it’s a shame that we don’t see more of this in the series. Chouchou Akimichi might be one of Sarada’s best friends in the world of Boruto, but her recent anime arc wasn’t well received by a lot of long time fans. Despite criticisms of the arc itself, there’s nothing but love for her character amongst fan artists. Like her father before her, Chouchou is rarely seen without a snack in hand. 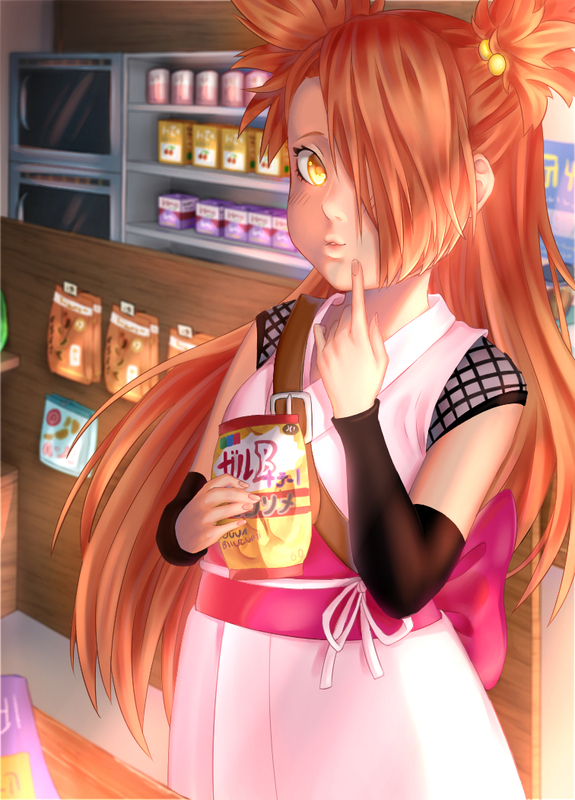 Also like Choji, Chouchou seems to prefer potato chips, just like the bag she’s holding in this piece. 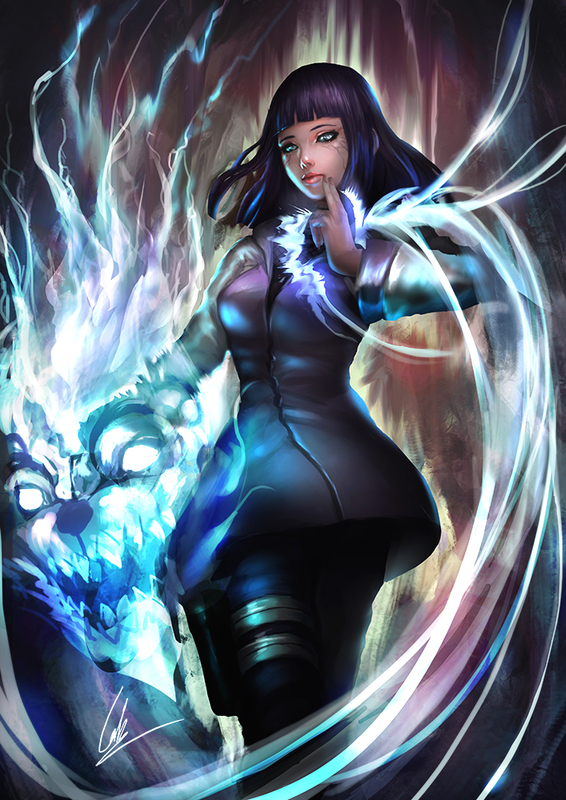 When Hinata Hyuga was first introduced, we didn’t know much about her beyond her crush on Naruto. Her backstory later revealed she had a little sister who was an even stronger fighter than she was. Hanabi eventually took Hinata’s place as the heir to the Hyuga clan. This gave Hinata the freedom to leave her intense training behind to raise a family. A brief glimpse of her in Boruto showed us that Hanabi is still training hard with their father. Though Sumire was revealed to have betrayed her classmates in an effort to get vengeance for her family, the character was never truly evil. Sumire learned from the choices she made, and was able to change her ways. Some fans are curious about just how Sumire could have changed. What if she’d maintained the villainous track instead of taking a more academic one? 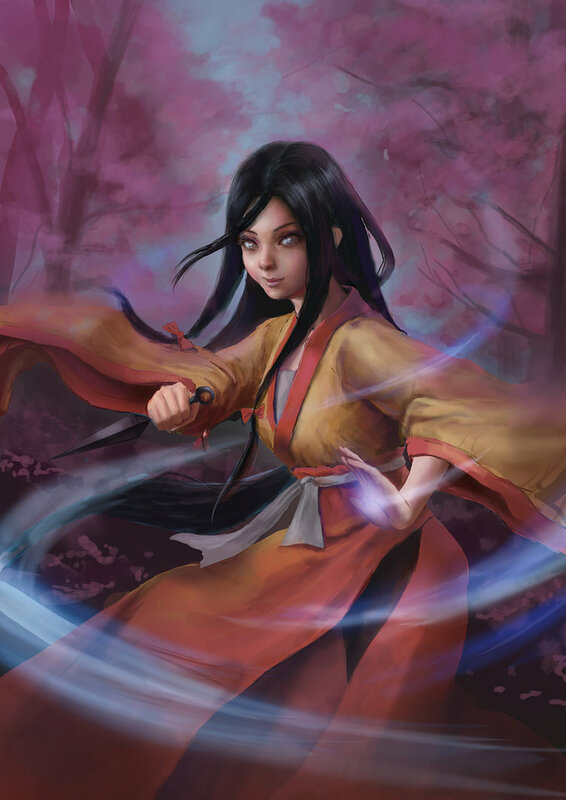 Artist Chrotaku created an image of a more “evil” Sumire in response to the character’s initial storyline. 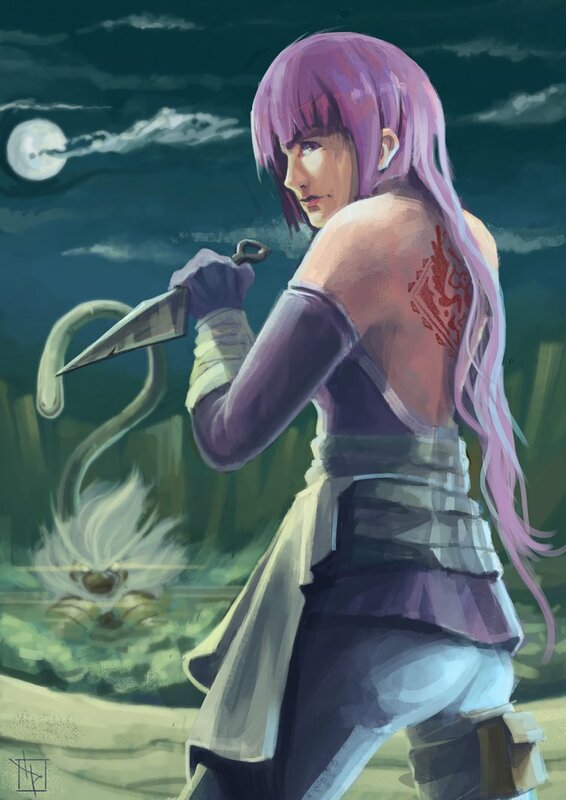 Could we see Sumire one day throw her reformation aside and take a darker approach? We’ll have to wait and see. Orochimaru was the villain to beat during Naruto’s youth. No one would have pegged him as the parental type. So, when Orochimaru’s son Mitsuki became one of Boruto’s closest friends, we were all just a little bit suspicious. Mitsuki appears to be learning about friendship and loyalty thanks to being on a team with Boruto and Sarada. This doesn’t mean he’s going to remain an innocent friend, though. 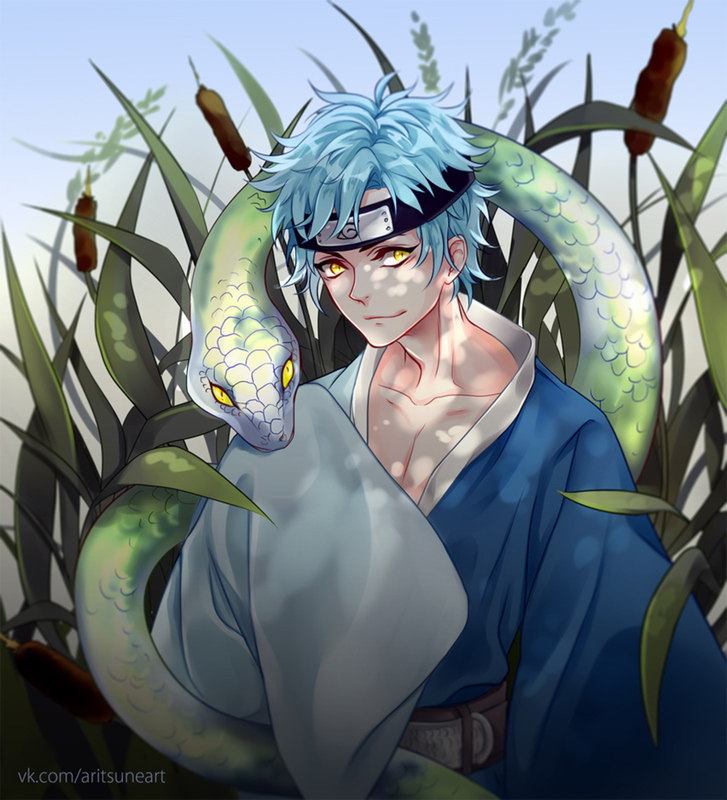 In fact, Artist R3dFangz imagined what Mitsuki would look like in his 20s with the same snake-like leanings as his parent. Let’s all take a moment to hope Mitsuki remains an ally. If you’re a long time fan of the Naruto franchise, you might have noticed something interesting about the Boruto version of Shikamaru: he doesn’t look like his younger self. The artists made slight changes to Shikamaru’s face and hairline in Boruto. These changes aren’t simply to age the character, but to make him resemble the father he lost in the war. In fact, he even has the exact same hairline as his father now instead of his mother, like he did a decade ago. Naruto might be the Seventh Hokage, but there are certainly several people who want his job. Both Konohamaru and Sarada have declared their interest in it in the younger generations. 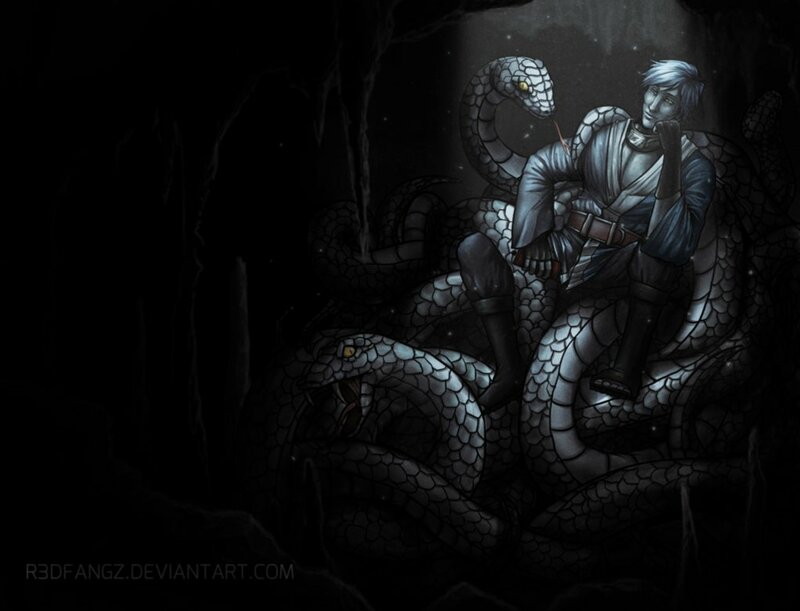 In the older generations, though, some believe that Orochimaru still hasn’t given up hope. A long running fan theory suggests that Orochimaru won’t let the Boruto series end without making another play for leadership of the Hidden Leaf Village. Just how the people would respond remains to be seen. What did you think of these Boruto fan redesigns? What kind of artistic styles do you wish we could see in the series? Let us know in the comments!